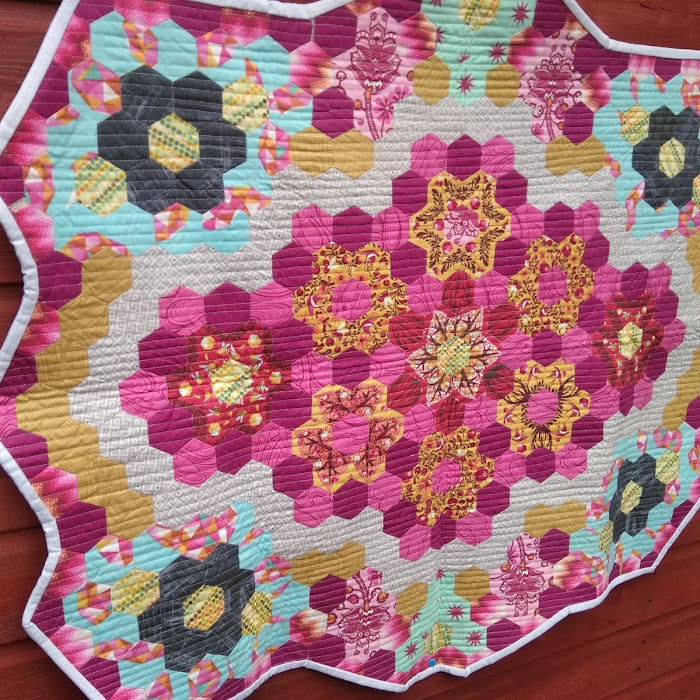 Can you believe we are in the second year of our Hipbees quilting bee?? Neither can I! January is my month to organise and of course I am late. It seems to be a trend of late and one I am not proud of but sometimes life just gets WAY too busy and in the way. This is meant to be fun though so I am not going to get my knickers in a twist about it! I am sending packages next Monday and don't mind if my returned blocks are late. I am only asking the ladies to do one block each as I don't have enough of all the fabrics I want to use. 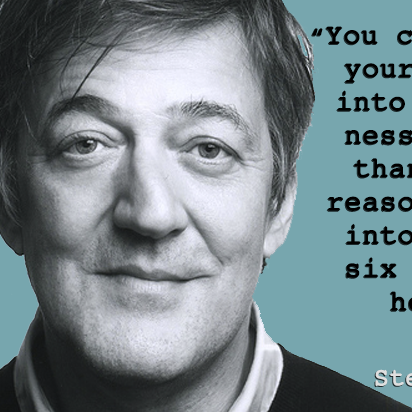 This is the kind of thing I am aiming for. This is my Floating Log Cabins design. Each Log Cabin is off centre and sashed with the navy fabric to give the appearance of each block floating around. I am quite excited about this project! And thank you in advance to all those helping! 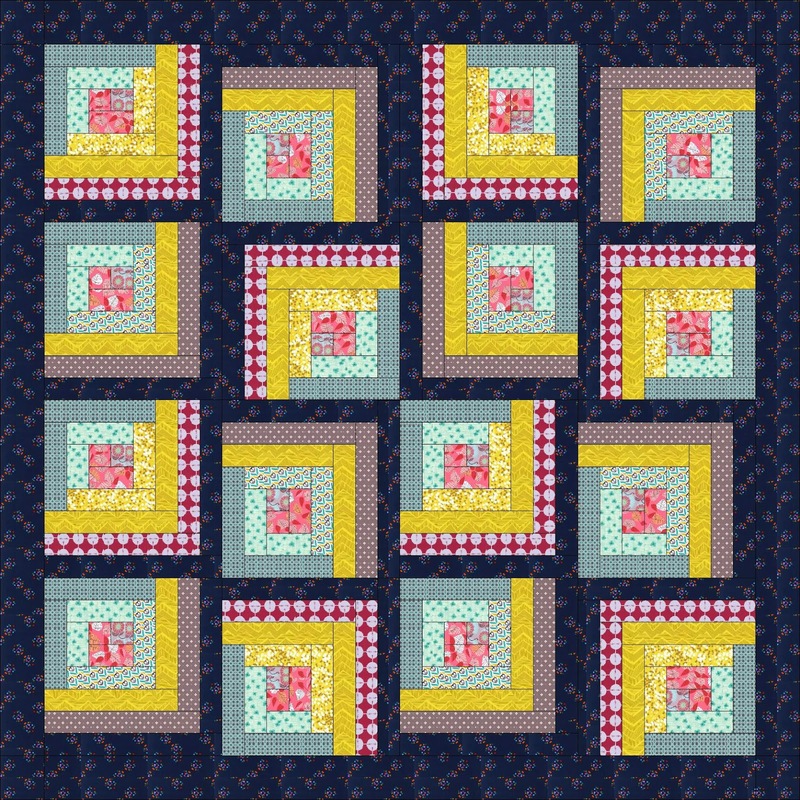 Gorgeous block choice and the floating bit makes them look really different and fresh. What fabrics are you using for them? You're going to get a gorgeous quilt! Glad to hear you're not getting stressed about it! You know my views on THAT! I love how your two quilts will be so different, great fabric choices. The first quilt is gorgeous and I'm sure your second one will be fab too! This quilt is going to be terrific! It's supposed to be fun, so no stress, I'll make it as soon as I can!